Dr Elizabeth Churchill is a Director of User Experience at Google. Her current work focuses on the design of effective designer and developer tools. 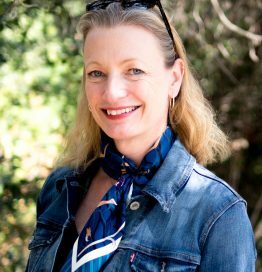 For 2 decades, Elizabeth has been a research leader at well-known corporate R&D organizations including Fuji Xerox’s research lab in Silicon Valley (FXPAL), the Palo Alto Research Center (PARC), eBay Research Labs in San Jose, and Yahoo! in Santa Clara, California. Elizabeth has contributed groundbreaking research in a number of areas, publishing over 100 peer reviewed articles, co-editing 5 books in HCI related fields, contributing as a regular columnist for ACM’s interactions magazine since 2008, and publishing an academic textbook, Foundations for Designing User Centered Systems. Her upcoming book, Designing with Data, will be published in 2017. She has also launched successful products, and has more than 50 patents granted or pending. A Distinguished Scientist and Speaker of the Association for Computing Machinery (ACM) and a member of the CHI Academy, Elizabeth is the current Secretary/Treasurer of the ACM. She served in the ACM SIGCHI Executive Committee for 8 years, 6 years of those as Executive Vice President. Elizabeth sits on the advisory board of a number of University Departments, and is a visiting professor at the University of Newcastle Upon Tyne in the UK. She was the recent recipient of the CITRIS and Banta Institute Athena Award for Executive Leadership.